Back in August, social media was sent into a flurry when a picture of Viennetta on a stick, in a perfect single-serving size, was posted from China. Photos then surfaced from Malta & Turkey which lead Australians to demand answers to the question: Where are ours?? Well Where Is It Then? Back in August, no specific Australian release date was set. Several months later, we hope Streets hasn’t forgotten their promise to us Viennetta-loving Aussies. With Summer warming up our beautiful city and icy treats becoming a go-to, it really couldn’t come any sooner. Our advice would be to hound them on their Facebook page, and in the meantime…we’re off to buy a bigger freezer. Streets also offered another compromise, if you’re that desperate to try it (which we are). 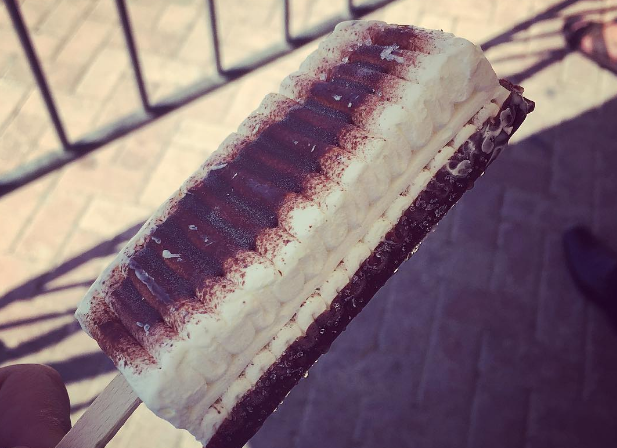 Check out their DIY instructions for Viennetta on a stick for Sydney-siders. Allens Pick ‘n’ Mix Lolly Bar Coming To Sydney!